It doesn’t get more iconic than vintage jewellery, and we know just the place where you can find the perfect splurge-worthy statement piece: Cynthia Findlay Antiques. Cynthia is a master of the vintage jewellery industry, and knows a stunning vintage piece when she sees it. She’s made a living of collecting some of the most beautiful vintage and estate jewellery on the market, ranging from vintage rings, necklaces, and earrings, to home décor and dining pieces, making her one of the most trusted and well respected leaders in the industry. The look is breathtaking, flaunted by the world’s most beloved actresses including the most popular, Elizabeth Taylor. Vintage jewellery has always been in style. And today, it has become modern luxury, pushing purchases beyond brand and store to focus on the product: something Cynthia knows all too well. A 5th generation entrepreneur, Cynthia owns a company built around her keen eye for quality antiques and jewellery. She even provides her discerning clientele with a host of personalized concierge services, including personal shopping services. Whether you’re a collector or simply looking for a special gift for that special someone, Cynthia is sure to have the statement piece you want. Everything about Cynthia’s collection is wonderful: the quality, the selection, and the customer service. Most importantly, each item comes with a modest sense of luxury, each piece is rare. 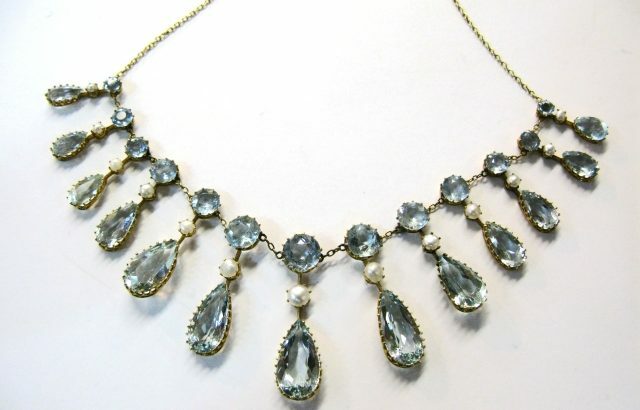 If you enjoy indulging in rare antique and estate jewellery, visit Cynthia Findlay Antiques. The 6,000 square foot store is located in Toronto, Canada and attracts designers, international customers and celebrities.